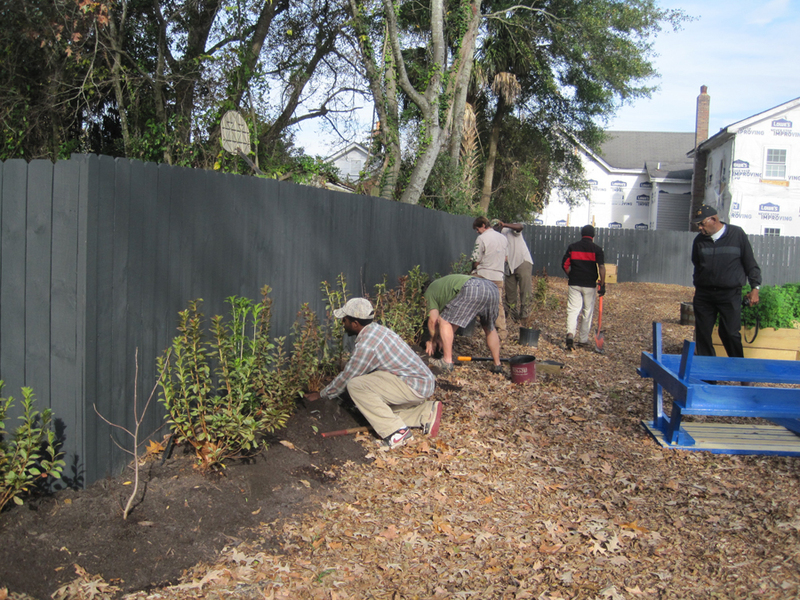 Through its Neighborhood Revitalization Initiative, Historic Charleston Foundation (HCF) is partnering with the New Israel Reformed Episcopal Church on Simons Street to create an urban community garden on a vacant lot at the dead end of Romney Street which is owned by the church. 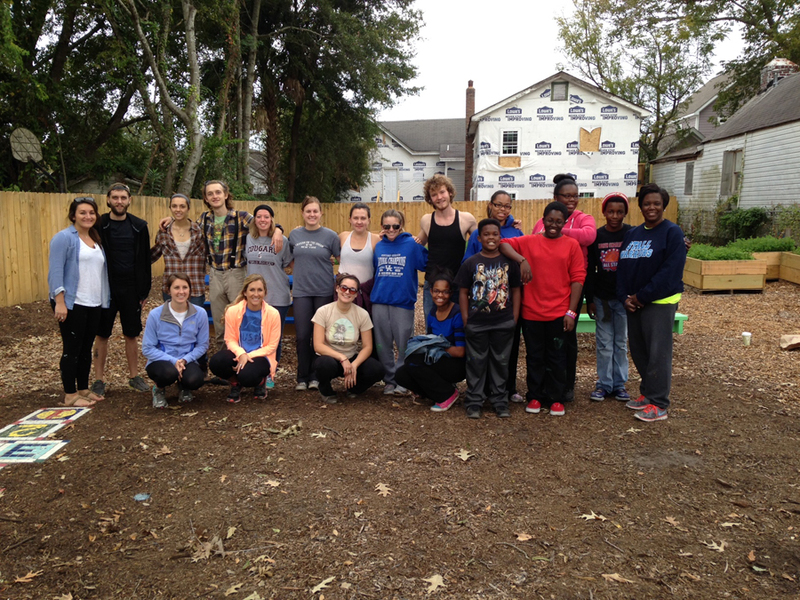 HCF has rehabilitated an historic Freedman’s Cottage on this section of Romney Street in a unique partnership with Charleston Habitat for Humanity and the City of Charleston. 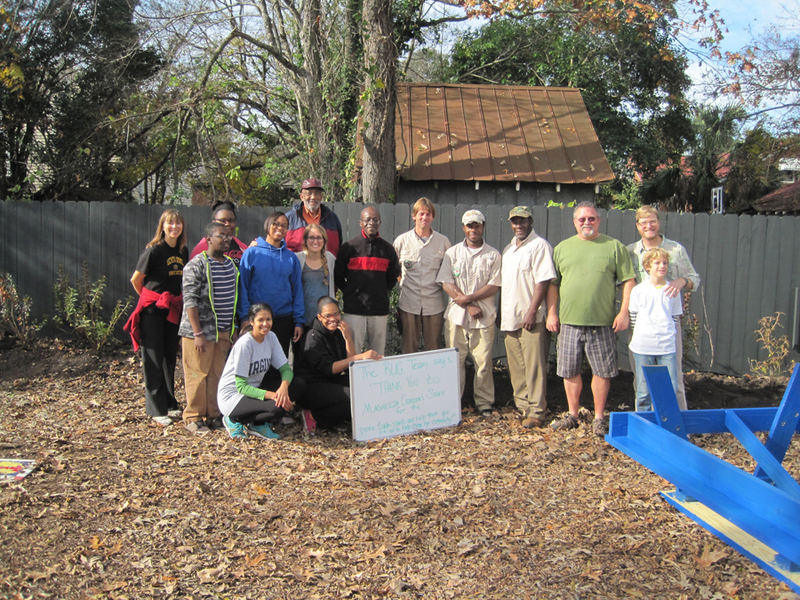 The garden site was a blighted area that needed improvement. 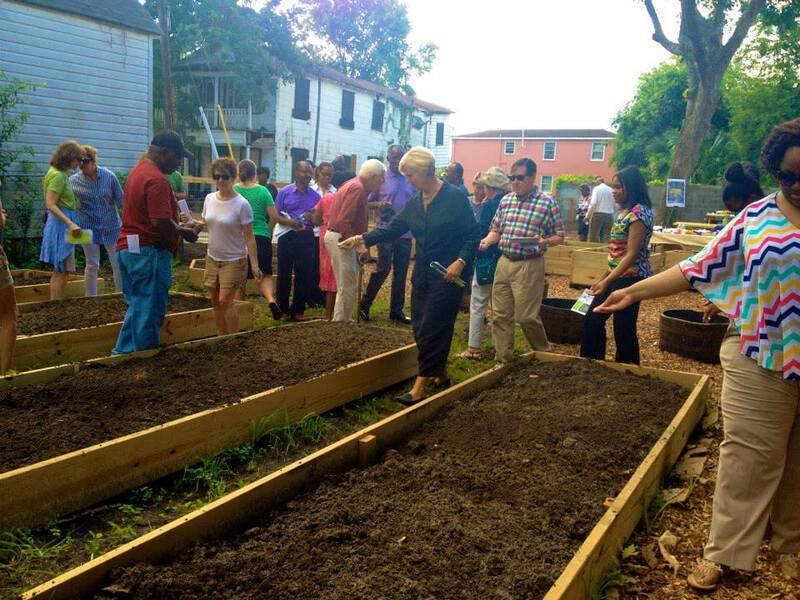 HCF staff and the Church leadership team felt strongly that a neighborhood garden would bring the community together and help to revitalize the block. 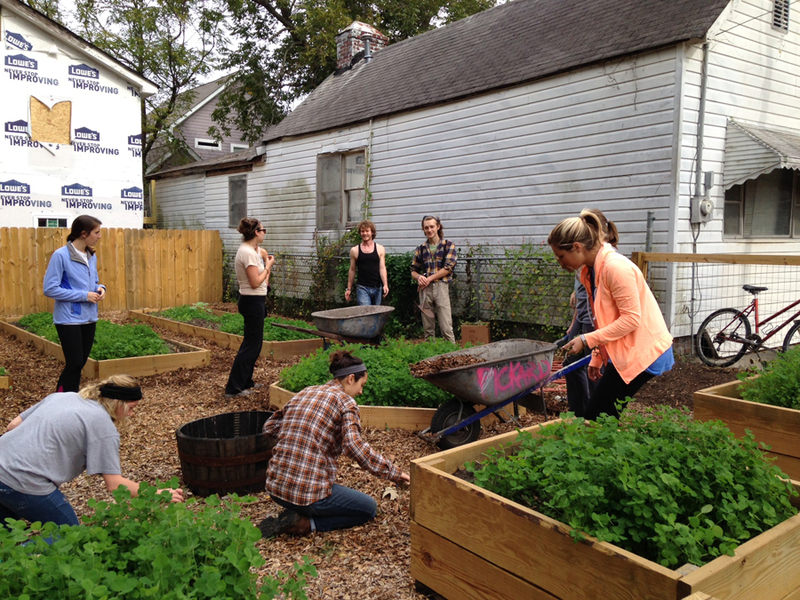 HCF has provided the critical start-up money, and the Church (with surrounding neighbors) will take responsibility for the long-term operation of the garden. The Church Youth Team has taken the lead on design, programming and management decisions. Elizabeth Beak, of Crop Up!, has provided the much needed professional guidance throughout the process. Each workday, new people from the church and broader community come to the site to work (and sweat) together to turn blight into bright. 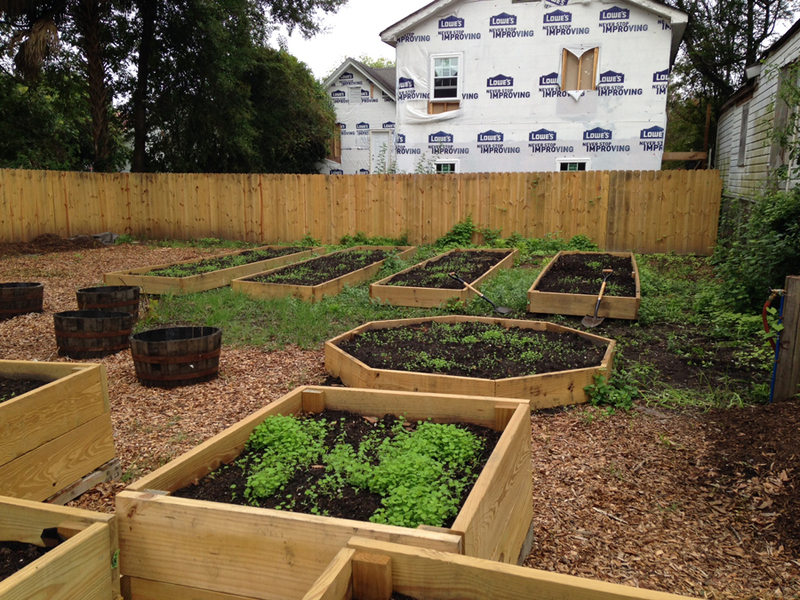 It is especially inspiring to see young teens engage in this project and get excited about the future flowers, vegetables and fruits that are being planted this fall. 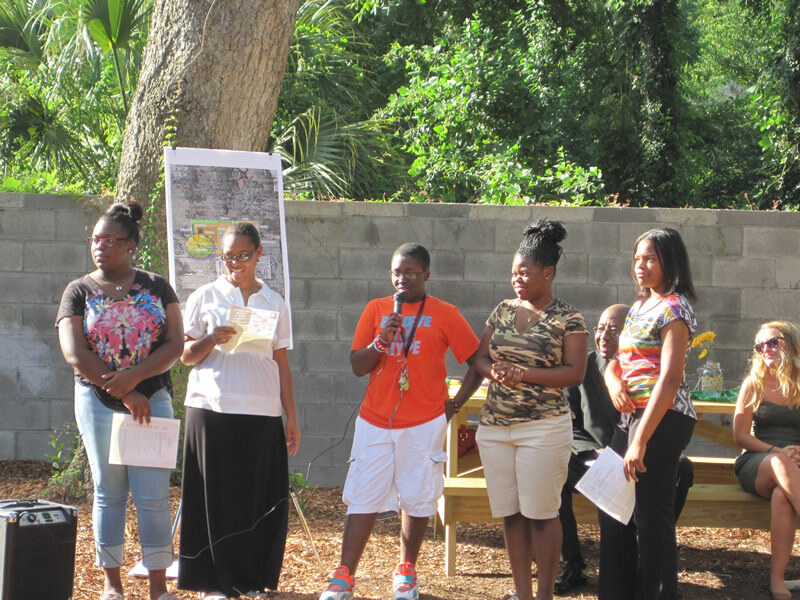 This formerly overgrown site has already brought the community together and serves as a gathering place for the Church and the neighborhood. 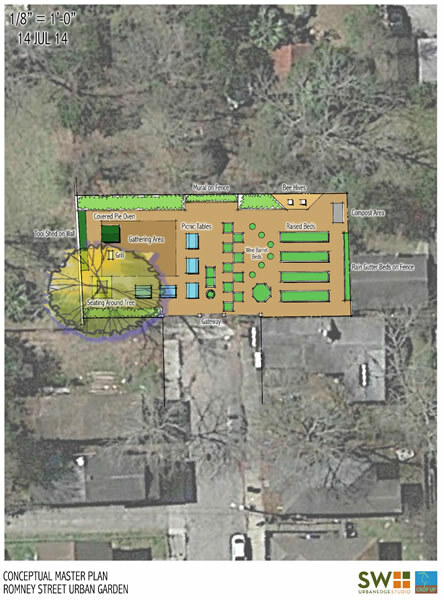 Immediate plans include the installation of irrigation and plants, a mosaic mural, a grill area, and a wood-burning pie oven. 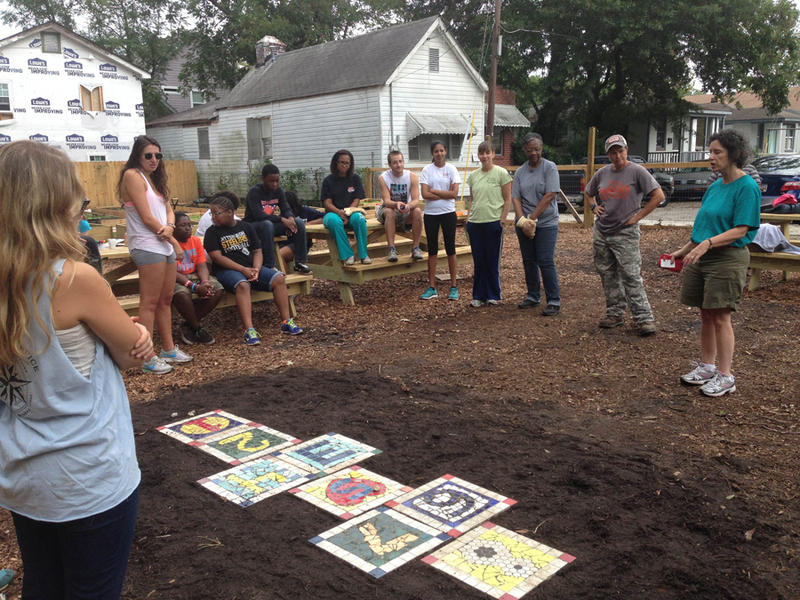 Community buy-in was an early hurdle that has already been accomplished. Funding for implementation is always a challenge, but the numbers of volunteers and donors that have contributed to this effort has been amazing. Yes, we have already worked with several other organizations, and have plans to collaborate with Enough Pie.